Need more bats? 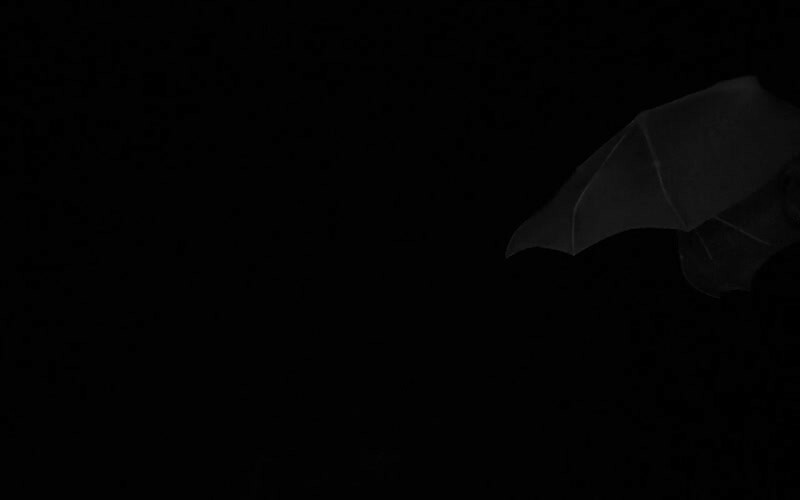 Learn about the mechanics of bat flight, and check out a spotlight on batty science. Friendly neighbors. Olympic divers. Little horses with wings. No matter what you call the commonly misunderstood bat, they’re far more than simple nocturnal blood-drinkers. Bats have an impressive repertoire of noteworthy abilities—from super echolocation to agile, muscular wings. It’s a subject that has both inspired and lured scientists, like Sharon Swartz, a biologist who researches bat flight at Brown University and is profiled in SciFri’s latest episode of The Macroscope. In this segment, she discusses how she takes a close look at the aerodynamics and wing morphology of these creatures to pin down the evolutionary origins of bat flight. Plus, Cynthia Moss, a neuroscientist at Johns Hopkins University’s Batlab, explains how she and her team identified the neurons in the brain that play a key role in how bats’ process information from echolocation. “These animals are so interesting in so many ways,” Swartz told Science Friday by phone. The bat research community continues to reveal new, surprising features. See how these swift animals take flight, and swoop up more bat facts below. What else can these amazing mammals do? Bats can pull off a trick that other flying animals don’t dare to attempt: sticking an inverted landing. Whether on the ceiling of the cave or a tree hollow, bats land upside down in their roost. But in order to do so, a bat must perform an intricate feat of physics and aerodynamics. “When they get to the very end of a flight, they turn essentially into Olympic divers and use the inertial movements of the body and wings to control their landing dynamics,” Swartz says. Not only do bats have to slow to a standstill in an upwards motion—which is physically challenging from an aerodynamics perspective, Swartz explains—they also need to completely reorient their bodies. By moving their wings around their bodies in asymmetric and precise patterns, the bats can maneuver so they land with feet clinging to the ceiling. We often think of skin as soft, pliant, and most often devoid of muscles. 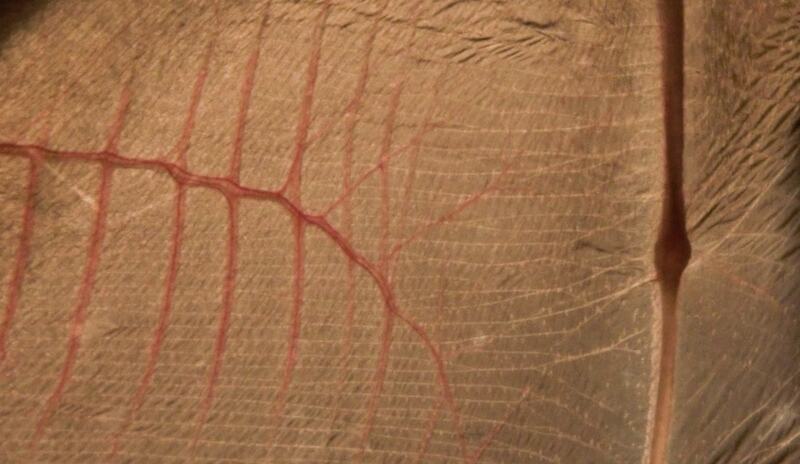 But the skin of a bat’s wing has a whole set of tiny muscles that play a crucial role in locomotion. In fact, these muscles aren’t connected to the structures that communicate to the central nervous system. So how do they know when to contract and relax? While humans have these kinds of unattached muscles in the tongue or in the face, there aren’t any other animals that use such muscles in such an important way for their movement, Swartz says. A bat eating a moth, from the SciFri video “Moths Can Escape Bats By Jamming Sonar.” Credit: Jesse Barber, Nickolay Hristov, Science, PNAS, Barber and Conner, 2007. Many bat species are swift and speedy predators. They can detect and swipe up unsuspecting prey in mere seconds. The superpower behind this ability? Echolocation. Some bat senses, like echolocation, are so attuned that researchers are turning to them to inspire technologies in autonomous vehicles, drones, remote submersibles, and sonar. There are over a thousand species of bats that use echolocation, and they use different means of emitting sound to find their way around environments. For instance, most bat species make high-pitched vocalizations with their voice box. A select few species can even make clicking signals with their tongues, much like dolphins. In a new study, researchers at the University of Washington and Johns Hopkins University, have discovered that the Egyptian fruit bat—a bat that actually has uncharacteristically good vision—can shift frequencies as it clicks so that different frequencies bounce off slightly different locations, creating a wider picture of its surroundings. This frequency hopping is the same way sophisticated military sonar works. Past research has revealed how unrelated female vampire bats are actually quite “friendly” to each other, offering up blood meals to individuals not of kin within the same species. Now, recent research from Smithsonian Tropical Research Institute (STRI) in Panama has found that bats of different species also learn and communicate with each other. Two species of bats, fringe-lipped bats and white-throated round-eared bats, were presented with a new food source—a cane toad. While the fringed-lipped bats were able to eventually identify the new prey, they did so much slower than those individuals that learned from the white-throated round-eared bats, explains Krista Patriquin, a postdoctoral fellow at the University of Toronto and co-author on the study. Originally, researchers thought that bats evolved from gliding mammals, like the flying lemur or colugo. But now, the scientific community has traced its phylogeny to a different group of animals. Sharon Swartz is a professor of Biology and Engineering and Director of the Aeromechanics and Evolutionary Morphology Lab at Brown University in Providence, Rhode Island. Cynthia Moss is a professor of Neuroscience, Psychological and Brain Sciences at Johns Hopkins University in Baltimore, Maryland. IRA FLATOW: This is Science Friday. I’m Ira Flatow. Birds and bats– one’s a dinosaur, the other is a mammal. One’s feathered, the other is fuzzy, but both have evolved convergently to lift into the air when they flap their front limbs. Flight, the ability that we take for granted every time we board an airplane now, but it seems like bats are just doing the same thing that birds do. Well, you might be surprised to hear that you’re wrong. Bats, it turns out, have a number of sophisticated aerodynamic tricks up their sleeves, from tiny muscles that selectively stiffen, to a figure skater move for flipping onto cave ceilings. Wow, we have all of these tricks captured on high-speed cameras. They’re the subject of our newest video on the Macroscope, up on our web page at sciencefriday.com/batwings. It really, really is an incredible sight to see what all these bats are doing. Here to help us celebrate the beautiful mechanics of bat flight is Sharon Swartz, Professor of Ecology, Evolutionary Biology, and Engineering at Brown University. Welcome to Science Friday. SHARON SWARTZ: Hi, Ira, I am thrilled to be here to talk with you and your audience today. SHARON SWARTZ: I would not believe that. IRA FLATOW: No, well you should. You should because I’m usually the dumbest person in the room. Let’s talk about– birds flap their forelimbs. Bats flap their forelimbs. How could their flight be that different? SHARON SWARTZ: It’s amazing how different they are. Although I have to say, when I started into this field some very large number of years ago now, people told me that bird flight, bat flight– basically the same thing. Just a little minor variation on the theme, but it’s not really true, and the more we understand about bat flight, the more we understand how different these two ways of getting around the skies really are. IRA FLATOW: Your research partner, [? Kenny ?] [? Breyer, ?] who is also is also featured in our Macroscope video, describes one of the most impressive tricks of bats’ landing. KENNEY BREYER: They have to slow down. They have to flip themselves upside down and land hanging onto the ceiling or hanging onto a tree roots. It’s like doing a high dive backwards. SHARON SWARTZ: Well, bats have a problem that birds don’t have. When you have a wing in the air, the amount of lift that that wing makes is a function of how fast it’s going. So, as the animal slows down, it generates less lift, and if you want to land on the ground, that’s a good thing. You slow down, you move downward. You’re a bird, you’re all set, but bats don’t land on the ground. So as they slow down, they need to move upward, and that really is a problem when it comes to physics. IRA FLATOW: So it’s sort of like we see in ice skating. When they do those little flips and things, they’re moving their center of gravities and they’re moving their momentum around just to get positioned so they can grab the ceiling. SHARON SWARTZ: It turns out that that’s exactly what they do, but I don’t think it was obvious– certainly not to us before we started this research– that that’s what a bat needs to do to carry out a landing, but actually, as a bat approaches the site on which it’s going to make its landing, really what happens is that the aerodynamics barely function at all, and the fact that a bat has pretty big wings that are actually kind of heavy for a flying animal lets it act just like one of those Olympic skaters, and as the wings move in what’s really a pretty highly-programmed, very precisely-maneuvered set of motions, those wing movements can get the body to exactly where the bat wanted to go, even though it’s slowing down and it’s not getting any lift from those wings anymore. IRA FLATOW: It’s amazing and because no conversation about bats is complete without a look at their amazing echolocating ability, we’re also joined by Cynthia Moss, Professor of Neuroscience, Director of the bat lab at Johns Hopkins University. Welcome to Science Friday. CYNTHIA MOSS: Oh, thank you. It’s a great pleasure to be here. IRA FLATOW: Let’s talk about you. You studied the neuroscience of a bat’s echolocation sensing. Does a bat need a specialized brain to process the signals from echolocation? CYNTHIA MOSS: Well bats produce very high frequency sounds which return echoes from objects in the environment, and the very high frequency sounds they use for echolocation require very high frequency hearing, and there appear to be some special circuits in the bat brain that help process the information to build pictures, if you will, of objects in the world through sound. IRA FLATOW: So does it really have to do– computers, we speak about how quickly they can process information. Is that true of a bat’s brain? CYNTHIA MOSS: Well bats have to process information very rapidly. Imagine they’re flying, as Sharon Schwartz has described, and the world is continuously changing as they’re moving through that world, and the echolocation sounds they produce are very short packets– carry packets of information– and so from one echo to the next, the world has changed, which really requires very rapid processing. IRA FLATOW: So how so how many seconds, microseconds, pico– whatever. How do you measure that? CYNTHIA MOSS: Well, there have been some experiments that measure the bat’s ability to measure time delays between calls and echoes, which is the bat’s queue for distance measurement. So sound travels in air and has to go from the bat to an object and then back again, and there’s about six milliseconds of echo delay for each meter of object distance, and experiments have been conducted to test the bat’s ability to discriminate small differences in distance, and they can discriminate in the microsecond range. IRA FLATOW: Wow that is, and in fact we have some audio of a bat’s echolocation chirps slowed down by a factor of 16. IRA FLATOW: That’s amazing. What caused the change in speed right there? CYNTHIA MOSS: Yeah so what we’re listening to are calls produced by the big brown bag, the local species, and it’s going after insect prey, and so the sound frequencies it’s using are well above our range of hearing but for each slowing of the playback speed, you decrease the frequency. So you’re actually listening to the real signals but shifted into the range we can hear, and as a bat approaches an insect, it increases the rate at which it’s producing calls. So you could hear, first they were producing calls, or this individual was producing calls at a rate of maybe 10 to 20 per second, and at the very end about 150 sounds per second. IRA FLATOW: Wow. Sharon if you look at the video at sciencefriday.com/batwings, our Macroscopic video, you see the slow motion movement of those wings. How are they able to so delicately– you know, it’s almost like a ballet going on there? IRA FLATOW: But the bat wings must have specialized muscles in there or something to make them do what they do so precisely? SHARON SWARTZ: Well so part of what makes a bat wing so finely-tuned to the tasks at hand are the distinctive structures of the wing. So one of those is the highly-specialized skin. 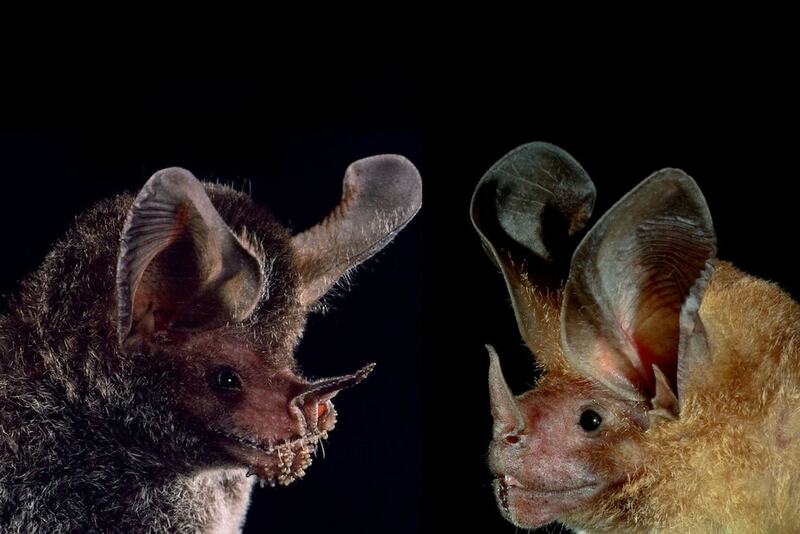 So birds have very effective skin, but nothing like the unique skin of bats. So in bats the skin is extremely thin. It’s only a few percent of a millimeter in thickness. It still has epidermis, just like other mammalian skin has, but there’s also a special group of muscles that invest the skin of the wing membrane in bats. Those muscles are just like the muscles of our limbs. If we look at the tissue itself it doesn’t look very different, but unlike our limb muscles, those muscles don’t attach to bones. They only attach within the skin itself, and the muscles within the skin give back the capacity to really control the skin in a way that we don’t normally see in skin. So the bat has a system for actively changing how stiff the wing membrane can be. So, during flight, the bat can turn those muscles on and off with every wing beat cycle. So even though those animals may be flapping their wings 10 or 15 times every second, they can use the muscles that are sitting inside the skin to change the stiffness of the skin many times per second. IRA FLATOW: Cynthia, we heard some of the chirps from the echolocation. Are there different kinds of signals, frequencies, chirps that– do you have a smorgasbord that the bad can choose from when it needs to? IRA FLATOW: And how high a frequency are they, the highest frequencies? CYNTHIA MOSS: Oh the highest frequencies that some bat species use exceed 200 kilohertz. Our upper limit of hearing is 20 kilohertz, and that’s only if we have very good high-frequency hearing. So way, way above ours. CYNTHIA MOSS: Exactly, so these very high-frequency sounds are really well-designed to bounce off of small objects, like little mosquitoes. IRA FLATOW: Yes, go ahead. SHARON SWARTZ: I want to say here, well, it’s really interesting to note. So Cindy pointed out that there’s over 1,000 species of bats that use ultrasonic echolocation cause that they emit from their larynx, but there’s also a small number of bats, a couple hundred species, that don’t use ultrasonic echolocation, that are primarily visual in their navigation of the aerial world, and we’ve known for a long time that one group, one genus of those bats use their tongues to make clicking sounds, and they listen to the echoes of their tongue clicks. It’s not quite the same as the sophisticated ultrasonic echolocation that Cindy’s been talking about, and recently some researchers led by Yossi Yovel at Tel Aviv University have found that those bats and some other, quote, “non-echolocating bats” also emit sounds with their wings. So when they’re flying, the sounds that are made by their wings during flight emit enough sound that the bats listen to the echoes of the wings sounds and are able to use these wing flap sound echoes as part of their navigation system as well. CYNTHIA MOSS: And Sharon, isn’t it wing clapping? SHARON SWARTZ: It seems to be something about when the wings come together. So I think that there’s a lot of mysteries about this wing sound production. So I would say that there are many open questions about the wing sound production that we have to solve. IRA FLATOW: And we’d like talking about them here on Science Friday from PRI, Public Radio International. Talking about how fascinating the bats are. I mean, Cynthia Moss and Sharon Schwartz– it’s almost insulting to call them flying rats, I would think, to bat specialists. CYNTHIA MOSS: No they’re not. SHARON SWARTZ: It’s not insulting, it’s wrong. CYNTHIA MOSS: Bats do not belong to the same group of animals as rodents. IRA FLATOW: There you go. SHARON SWARTZ: It’s been a long time since people thought that bats might be closely related to rodents. So yes, they have that name in German, but bats are not closely related to rodents. IRA FLATOW: Well let’s talk about their relationship. Let’s talk about evolution, the theories about bird flight evolution includes a gliding ancestor that learned to learn to flap out actively, and then you had a ground-up running ancestor that starts to generate lift. So what are the theories about bat flight? What’s the evolution behind that? SHARON SWARTZ: Well so I think that the most commonly held ideas about how bats evolved the capacity to fly see bats as coming from a gliding ancestor. There’s several reasons people think that, and one is that gliding seems to be a form of specialized movement that evolves very easily within mammals, if there is any such thing as something evolving easily. So specialized gliding wings– so not the flapping wings that we see in bats but the kind of wings that you’d see in a flying squirrel, like Rocky from Rocky and Bullwinkle– that kind of gliding wing has evolved at least eight times independently in mammalian evolution. A couple of times independently in rodents and three times in marsupials and once in the specialized group of mammals that we find in the Indo-Pacific that are called flying lemurs. We don’t know why they’re called flying lemurs because they don’t really fly and they aren’t really lemurs, but it seemed like a good name at the time. IRA FLATOW: Details, details. Yeah. SHARON SWARTZ: So gliding evolves over and over in mammalian evolutionary history, and these gliding wings often share a number of characteristics. They are made of skin in very much the same way that bat wings are made of skin, and they have certain patterns of muscles in the wing that are similar to the muscles in the skin of bat wings and certain patterns of innervation that are distinctive that we also see in bat wings, and they all incorporate the forelimb and the hindlimb, just like bat wings, and this pattern makes us think that it’s very likely that, even though we don’t have a fossil record for a gliding ancestor for bats, it’s very likely that there could have been one– just that we don’t yet have direct evidence for it. IRA FLATOW: One last question about the bats, the things that they stalk. I have a tweet from [? Wallace ?] who says, does the echolocation stun the insects and can the insects engineer a way, over evolution, to try to avoid being eaten by the bats? CYNTHIA MOSS: Well I don’t think there’s any evidence that bats stun insects, but many different insect species have evolved strategies to avoid being eaten by bats. There are some insects that make very high-frequency clicks that interfere with the bat’s echolocation behavior. So that’s one example of a strategy to avoid being eaten. IRA FLATOW: There you go. We’ve run out of time. So fascinating about these bats. Cynthia Moss, Professor of Neuroscience and Director at the bat lab at Johns Hopkins University. Sharon Swartzz, Professor of Ecology, Evolutionary Biology, and Engineering at Brown University. Thank you both for taking time to be with us today. Fascinating. CYNTHIA MOSS: Oh and thank you. SHARON SWARTZ: Thank you, Ira. IRA FLATOW: We’ll have to have you back, and you can see the latest Macroscope video on our website. This is a great video if you want to see bats flying in slow motion and what they can do. sciencefriday.com/batwings. sciencefriday.com/batwings.